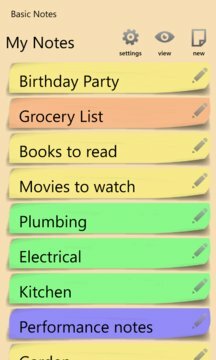 Create and view notes on your phone. Optionally synchronize them with desktop Outlook using Akruto Sync (a paid program for PC). Notes are plain text, like in Outlook. 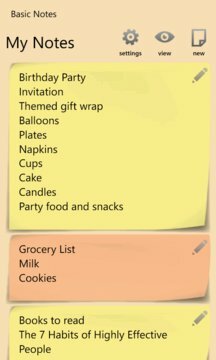 Organize notes by category. Assign colors to categories.